This formula will conditionally concatenate a range based on a criteria in another range. 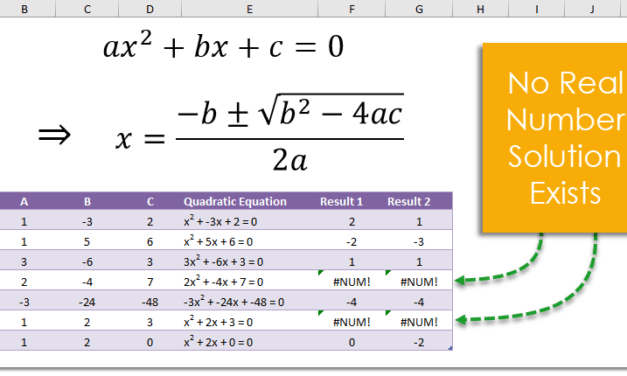 These formulas will give the solutions to a quadratic equation. This formula will return a random selection from a given list with each item in the list having an equal probability of being selected. 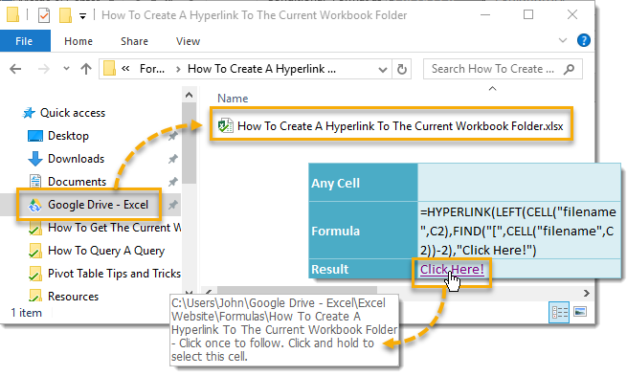 This formula will create a hyperlink that opens a file explorer window to the folder location where the current workbook is saved. This formula will return the folder path where the current workbook is saved. This formula will calculate the volume of a sphere given its radius. This formula will take the average of a numerical range then return the count of the items in the range that are less than the average. This formula will calculate the area of a circle given its radius.